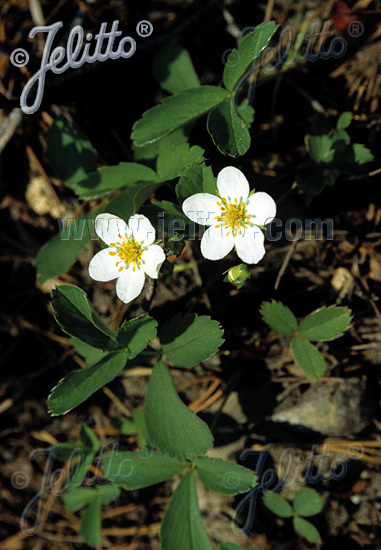 Origin: Eastern North America: forest margins, open forests, forest clearings. Special Features: Aromatic fruits. 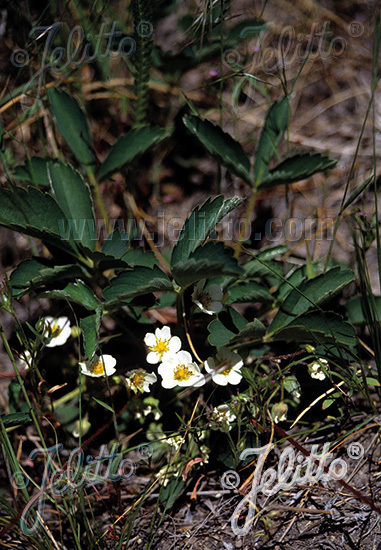 Strawberry fruit you buy in stores are a hybrid between F. virginiana x chiloensis. Very good groundcover with long runners in spring and fall. Suitable for natural landscaping. Use for low maintenance plantings. Drought tolerant/ for xeriscaping/ water-wise design. Suitable for natural landscaping. Erosion control. Foliage: 3-parted, serrate, glossy green.